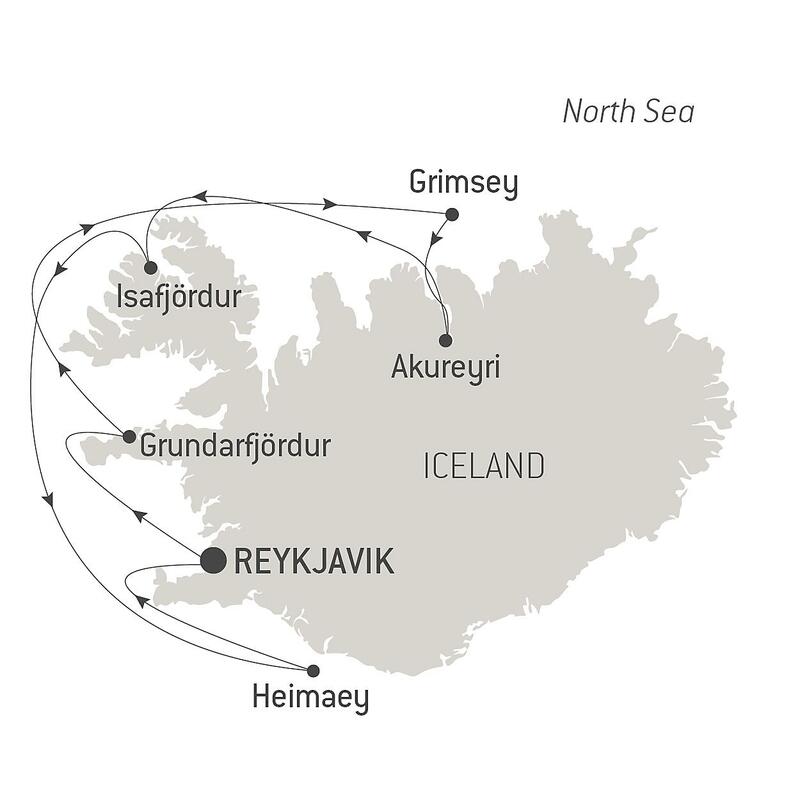 Discover the most beautiful landscapes on the Icelandic west coastduring an 8-day PONANT cruise aboard Le Champlain. Le Champlain will then reach Grímsey, a small, hard-to-reach island where, in certain places, the volcanic rock forms magnificent basalt columns. Birds such as guillemots and puffins reign here.